Curtis Stokes and Associates will display and speak at the America's Great Loop Cruisers' Association Spring Rendezvous May 6-8, 2019 in Norfolk, VA at the Waterside Marina. St. Michaels, MD- Curtis Stokes and Associates has partnered with the Chesapeake Bay Maritime Museum for a Donation Program. St. Michaels, MD- Curtis Stokes and Associates was at the Chesapeake Bay Maritime Museum Boat Show April 14th. 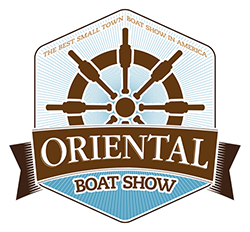 Oriental Boat Show April 12th through the 14th, 2019. CSA was available to show boats at the Show and in the Carolina's area. Fort Lauderdale, FL- Curtis Stokes and Associates will attend, speak and display at the America's Great Loop Cruisers' Association Gold Reunion, Route Briefing and Looper Lifestyle January 23 - 25, 2019 at the Marina at Edison Ford in Fort Meyers, Florida. Curtis Stokes will speak discussing "How to Find and Buy Your Great Loop Dream Boat" at the AGLCA's Rendezvous. Curtis Stokes and Associates has a new section devoted to Technical, Great Loop and General Boat and Yacht Articles written by experts in their field. Read the magazine article about CSA's yacht broker Barbara Burke. Fort Lauderdale, FL- Curtis Stokes and Associates (CSA) were available to guide yacht buyers at the 2018 Fort Lauderdale Boat Show Oct. 31 - Nov. 4, 2018. Fort Lauderdale, FL- Curtis Stokes and Associates will attend the Annapolis Sailboat Show Oct. 4-6, 2018. Fort Lauderdale, FL- Curtis Stokes and Associates displayed at the Seven Seas Cruising Association 2108 annual Gam Nov. 9-10, 2018. Curtis Stokes & Assoc. will display at the Wilmington Boat Show in Wilmington, North Carolina Sept. 7-9, 2018. 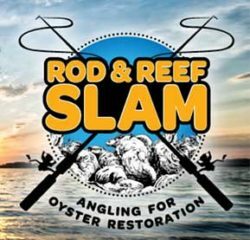 Curtis Stokes and Associates is sponsoring the Rod & Reef Slam Fishing Tournament September 22, 2018 in Sherwood, Maryland. Annapolis, MD- Curtis Stokes and Associates will be available at the Annapolis Power Boat Show Oct. 11-14, 2018. Curtis Stokes and Associates will display and speak at the America's Great Loop Cruisers' Association Fall Rendezvous October 15-18, 2018 in Rogersville, AL. Curtis Stokes and Associates will display and speak at the America's Great Loop Cruisers' Association Looper Lifestyle June 29-30, 2018 in Trenton, Ontario, Canada. Curtis Stokes and Associates will display and speak at the America's Great Loop Cruisers' Association Spring Rendezvous April 30 - May 3, 2018 in Norfolk, VA at the Waterside Marina. Curtis Stokes and Associates will display and speak at the America's Great Loop Cruisers' Association Lifestyle Seminar March 23 and 24, 2018 in Chicago. IL at the Chicago Marriott Schaumburg Hotel. Curtis Stokes of Curtis Stokes & Associates has sold Amphitrite, the 156' Turqouise Yachts. More on the sale of Amphitrite. Curtis Stokes and Associates spoke at the MTOA Southern Rendezvous Monday, April 16, 2018 to Thursday, April 19, 2018 in Fort Pierce FL at the Causeway Cove Marina. Curtis Stokes helda seminar entitled "Boat Buying Basics" Tuesday, October 24 at the Chesapeake Bay Maritime Museum in St. Michaels, MD. Fort Lauderdale, FL- Curtis Stokes and Associates (CSA) are available to guide yacht buyers at the 2017 Cannes Yachting Festival September 12-17, 2017. Fort Lauderdale, FL- Curtis Stokes and Associates (CSA) are available to guide yacht buyers at the 2017 Seattle Boats Afloat Show Sept. 14-17, 2017. Fort Lauderdale, FL- Curtis Stokes and Associates (CSA) are available to guide yacht buyers at the 2017 Monaco Yacht Show Sept. 27-30, 2017. Curtis Stokes and Associates will display and speak at the America's Great Loop Cruisers' Association Fall Rendezvous October 16-19, 2017 in Rogersville, AL at Joe Wheeler State Park. Fort Lauderdale, FL- Curtis Stokes and Associates (CSA) were available to guide yacht buyers at the 2017 Fort Lauderdale Boat Show November 1-5, 2017. Curtis Stokes & Assoc. will display at the Wilmington Boat Show in Wilmington, North Carolina Sept. 8-10, 2017. Curtis Stokes and Associates will display and speak at the Welcome to The Chesapeake Bay event May 4 - 5, 2017 in Deltaville, Virginia at Deltaville Boatyard and Marina. Curtis Stokes and Associates will display and speak at the America's Great Loop Cruisers' Association Isle of Palms, SC - November 13th-14th, 2017. Curtis Stokes and Associates will display and speak at the America's Great Loop Cruisers' Association Spring Rendezvous April 25-28, 2017 in New Bern, NC at New Bern Grand Marina & Yacht Club. Curtis Stokes, president of Curtis Stokes & Associates announces that they have expanded their existing Chesapeake Bay area operation into the Maryland Eastern Shore and Delaware markets by acquiring Saint Michaels Yacht Sales. Curtis Stokes and Associates will display and speak at the America's Great Loop Cruisers' Association Fall Rendezvous & Reunion October 17 - 20, 2016 in Rogersville, AL at Joe Wheeler State Park. Fort Lauderdale, FL- Curtis Stokes and Associates (CSA) were available to guide yacht buyers at the 2016 Fort Lauderdale Boat Show November 3-7, 2016. Fort Lauderdale, FL- Curtis Stokes and Associates will display in Tent A at the Annapolis Power Boat Show Oct. 13-16, 2016. Fort Lauderdale, FL- Curtis Stokes and Associates displayed in Booths 149 & 150 at the Wilmington Boat Show Sept. 9-11, 2016. Curtis Stokes and Associates will display and speak at the America's Great Loop Cruisers' Association Fall Looper Lifestyle seminar November 11 - 12, 2016 in Charleston, South Carolina. Fort Lauderdale, FL- Curtis Stokes and Associates will attend, speak and display at the America's Great Loop Cruisers' Association Gold Reunion, Route Briefing and Looper Lifestyle January 20 - 21, 2016 at the Harborside Event Center in Fort Meyers, Florida. Curtis Stokes will speak discussing "Selling Your Boat" at the AGLCA's Rendezvous. Fort Lauderdale, FL- Curtis Stokes and Associates (CSA) were available to guide yacht buyers at the 2016 Palm Beach Boat Show March 17-20, 2016. Fort Lauderdale, FL- Curtis Stokes and Associates were at the Savannah Boat Show March 4-6, 2016 on board the Hatteras motor yacht Three Joys at the Westin docks. Fort Lauderdale, FL- Curtis Stokes and Associates attended, spoke and displayed at the America's Great Loop Cruisers' Association Gold Reunion January 18 - 19, 2016 at the Harborside Event Center in Fort Meyers, Florida. Curtis Stokes was a speaker discussing "Selling Your Boat" at the AGLCA's Rendezvous. Fort Lauderdale, FL- Curtis Stokes and Associates (CSA) did attend and speak at the Seminars- Successful Boat Buying and Looper Lifestyle Chattanooga. Fort Lauderdale, FL- Curtis Stokes and Associates (CSA) were available Nov. 19 through Nov. 22, 2015 at the Fort Meyers Boat Show. Fort Lauderdale, FL- Curtis Stokes and Associates (CSA) were available Thursday, November 5 through Monday the 9th, 2015 at the Fort Lauderdale Boat Show. 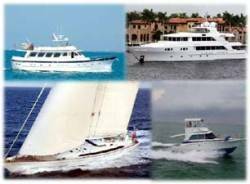 Fort Lauderdale, FL- Curtis Stokes and Associates (CSA) were available Thursday, Dec. 3 through Sunday, Dec. 6, 2015 at the St. Petersburg Power & Sailboat Show. Fort Lauderdale, FL- Curtis Stokes and Associates (CSA) spoke, Saturday, October 3, 2015, 2015 in Cleveland, Ohio. Michael Martin and other CSA staff contributed to this presentation. Fort Lauderdale, FL- Curtis Stokes and Associates will attend, speak and display at the America's Great Loop Cruisers' Association Fall Rendezvous & Reunion October 14th through the 17th, 2014 at Joe Wheeler State Park in Rogersville, Alabama. Curtis Stokes will be a speaker discussing "Finding the right boat for your Great Loop cruise" at the AGLCA's Rendezvous. Ft. Lauderdale, FL – Curtis Stokes & Associates will display and attend the Catawba Island Boat Show in Port Clinton, Ohio May 1-3, 2015. On display at the Show will be the Carolina Classic 28 Sport Cruiser Naughty and the 34 Pursuit Sport Cruiser Fishbones. Fort Lauderdale, FL- Curtis Stokes and Associates will display and speak at the America's Great Loop Cruisers' Association 2015 Spring Rendezvous Norfolk, VA, May 4-7, 2015. Curtis will be speaking on Buying a Looper Boat and have a Question & Answer period as well. Curtis Stokes & Associates is pleased to announce that the 124 Lloyds "Endless Summer" has recently been sold by Curtis Stokes. Curtis Stokes & Associates is pleased to announce that the 55 Ocean Alexander "Sea Fox" has recently sold. Read these Ten Tips from Chris Caswell and PassageMaker online magazine. Curtis Stokes & Associates is pleased to announce that the 84 Northcoast Yachts "Sailbad the Sinner" has recently sold. This sale is another transaction in the improving motor yacht sales market. Curtis Stokes and Associates are pleased to offer a number of prime DeFever Trawlers and Cruisers for sale. Also information for DeFever Cruisers club, owner blogs, as well as listings. Curtis Stokes and Associates are pleased to offer a number of prime Mainship Trawlers for sale. Also information for Mainship Owners club as well as worldwide search listings. Curtis Stokes & Associates is proud to announce the Opening of the New Mid-Atlantic Office in Annapolis, Maryland. Located at Butler's Marina, the Mid-Atlantic Office offers slips for CSA listings. More Annapolis Office info here. Fort Lauderdale, FL- Curtis Stokes and Associates have long been supporters of Great Loop Cruisers by supporting the America's Great Loop Cruisers' Association and bringing great people and boats together to do the Great Loop. Curtis Stokes has also been a speaker discussing "Finding the right boat for your Great Loop cruise" at the AGLCA's Rendezvous.